LeBron loves wrestling, and it loves him back, brother! James reportedly wanted one after watching Eagles star LeSean McCoy rock one while celebrating his rushing title and Philly’s playoff-clinching win over Dallas on Sunday. 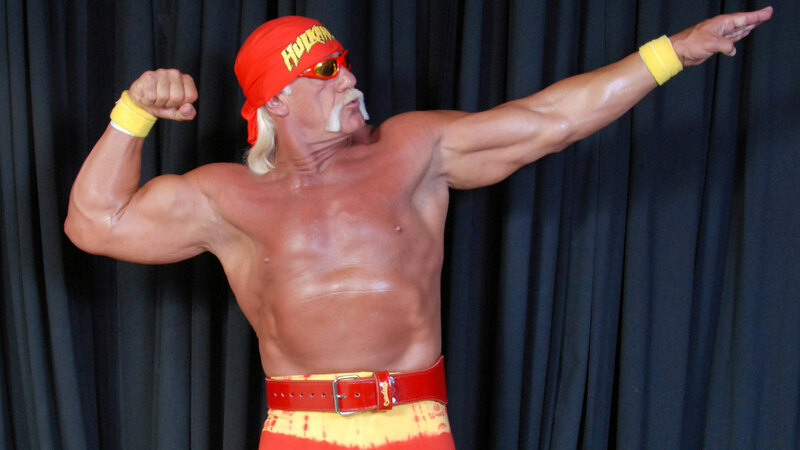 What do Bruce Lee, Hulk Hogan, The Ultimate Warrior and the Undertaker have in common? Those are the four men LeBron James says he was a huge fan of as a kid. A new feature by Ethan Skolnick of Bleacher Report reveals who the Heat superstar looks to for inspiration. Lee is one of those men. James even keeps one of Lee’s quotes in his locker. When asked why Lee, James said, "I’m a huge fan. Since I was little." "I was into Bruce Lee, Ultimate Warrior, Hulk Hogan. A huge wrestling guy. Hulk Hogan, Ultimate Warrior, Undertaker and Bruce Lee was something people may not know about me." James met Hogan last year at the Cowboys home opener, which led to this solid photo.